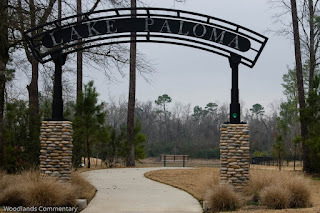 Lake Paloma is the featured lake in the Village of Creekside Park of The Woodlands, Texas. It is a public lake composed of lobed branches to maximize waterfront property. A marketing aerial video gives one a good perspective of the lake as it begins to fill with water. To a casual observer, the lake is about two feet from capacity. 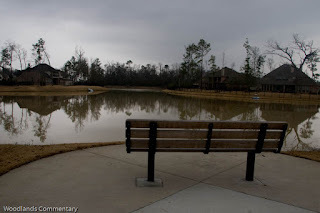 With the drought last summer, the lake has filled more slowly than anticipated. Hopefully this year, the process will accelerate. 2.5+ inches of rain in January helped a bit. A ground view reveals the newness of the area. 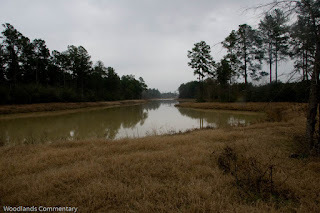 A single lobe of the lake in an undeveloped section looks like this. 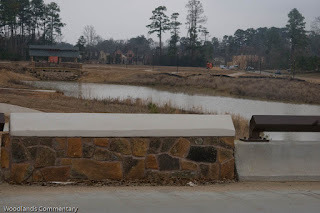 This little viewing park is adjacent to some of the model homes. It is a nice quiet place to go and read or just do nothing for a few moments. On "the point" so to speak. Picture this with kayaks or canoes in the summer. That day is coming. 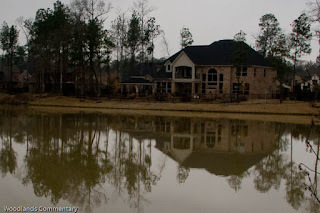 The main central body of water is not huge but substantial enough to separate the homes. This photograph made the space look smaller than it is with my zoom lens. 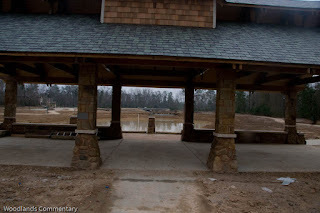 Substantial progress is observed on a new major park, Tupelo Green. As you can see, one of the lake's lobes meanders into this park. With the low water level, it is not yet connected to the main body of water, but that will come about soon. This pavilion will be popular with residents for group parties. Step by step the area is unfolding and will soon be a popular place to hang out. I look forward to the pathway encircling the lake, passing by this park. Will be a good place to take a morning or evening jog. 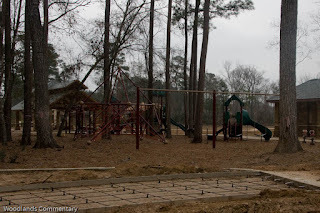 Childrens' playground equipment and a pathway are currently being installed and under construction. If its a home you are looking for, there are some really nice ones in the 400-800K price range on and adjacent to the lake. This style caught my eye. 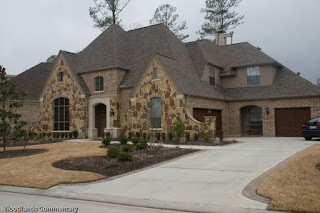 Some of the homes are only12 feet from each other but most of them are 20-24 feet depending on the builder and location. 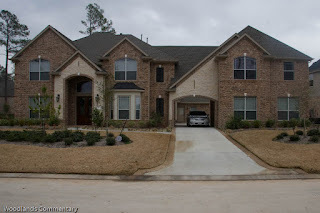 Some homes are built on what appears to be double lots. 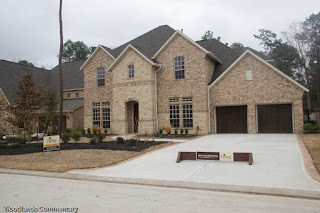 These lots were heavily wooded until development. Hopefully residents will get into the spirit of the community and plant additional trees to improve the value of their properties over the next ten years (a sapling pine will grow to be 20+ feet tall in 10 years). Thanks for the great photos and commentary. It's interesting to follow the progress and see what we have to look forward to in the near future!